The Peer Review of Teaching Program (PRT) at Holmes is a collaborative process that helps faculty hone their teaching skills. 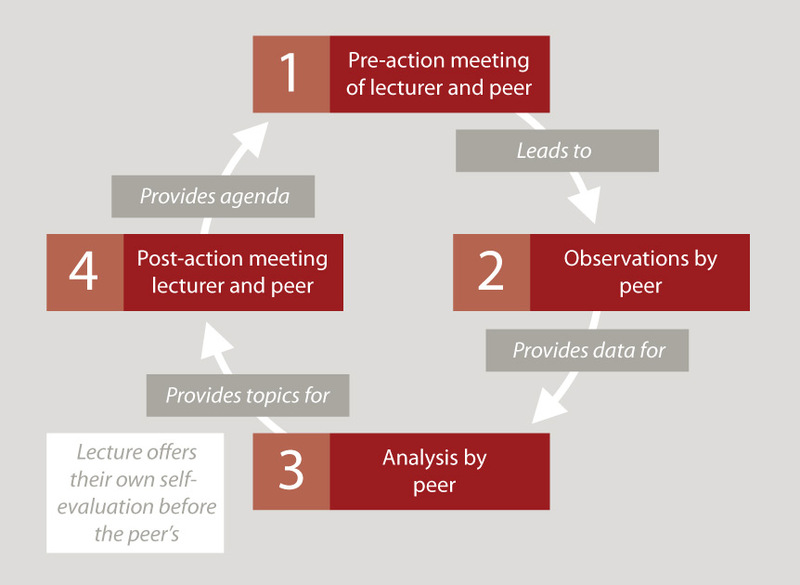 PRT generates structured feedback for faculty from peers using a collegial and open process, following the cycle of activities below. Holmes provides faculty with opportunities to engage in PRT to help them achieve the goals set out in the Holmes Teaching and Learning Plan. Faculty involvement is voluntary.